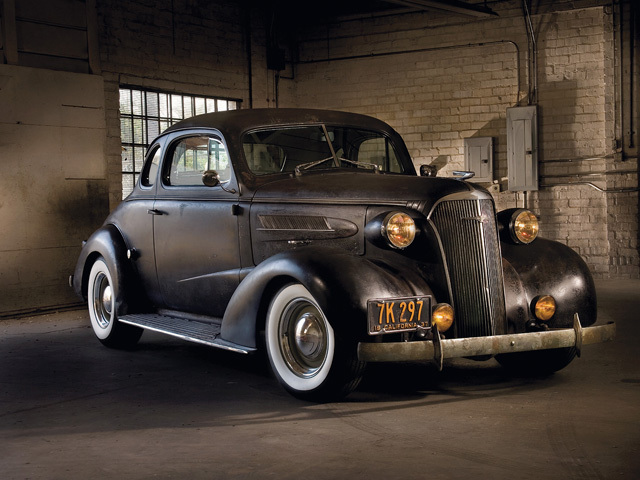 A while back I was poking around online, and ran across this 1937 Chevrolet business coupe. 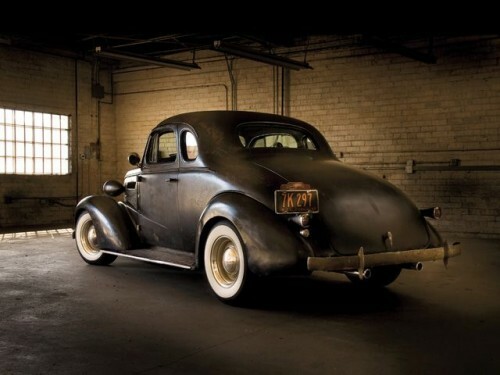 Now, I’ve always liked ’37 and ’38 Fords, but hadn’t really paid attention to the same year Chevys. Wow. This particular one is really a stand-out! 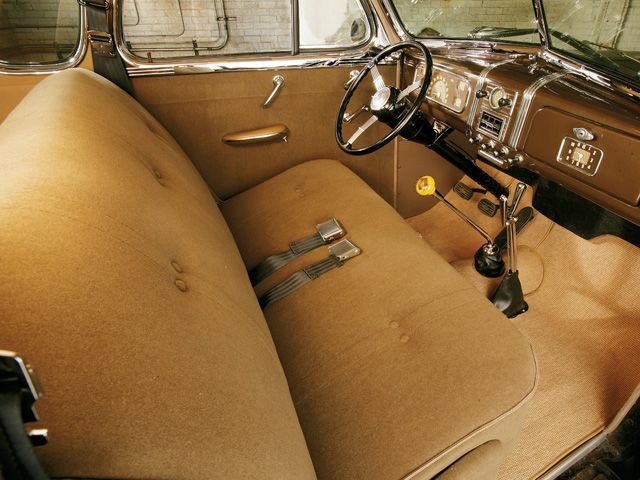 Between the original paint, and the perfect stance… whitewalls, and simple black wheels with hubcaps and trim rings, it’s a complete package that just screams out sleeper! It’s a tried and true package… small block chevy engine, 200-4r trans, 9-inch Ford rear end, but the thought put into making this package work… it’s remarkable. It’s the difference between a hamburger smashed together at McDonalds, and a filet at Ruth’s Chris. The thought, the pairing of every element is perfect. A couple of things that are standouts that I wouldn’t have thought I would like are the fog lights up front, and that they didn’t make the interior into a modern, leather and crap abortion. The original seat has been modified for a power seat track, and there’s a hidden Vintage Air unit and power windows, but they windows are controlled by the original window cranks. 1937 Chevy Business coupe – Street Rodder Magazine.